Wader Quest: Summary of Nad and Charlie's journeys and stop overs. 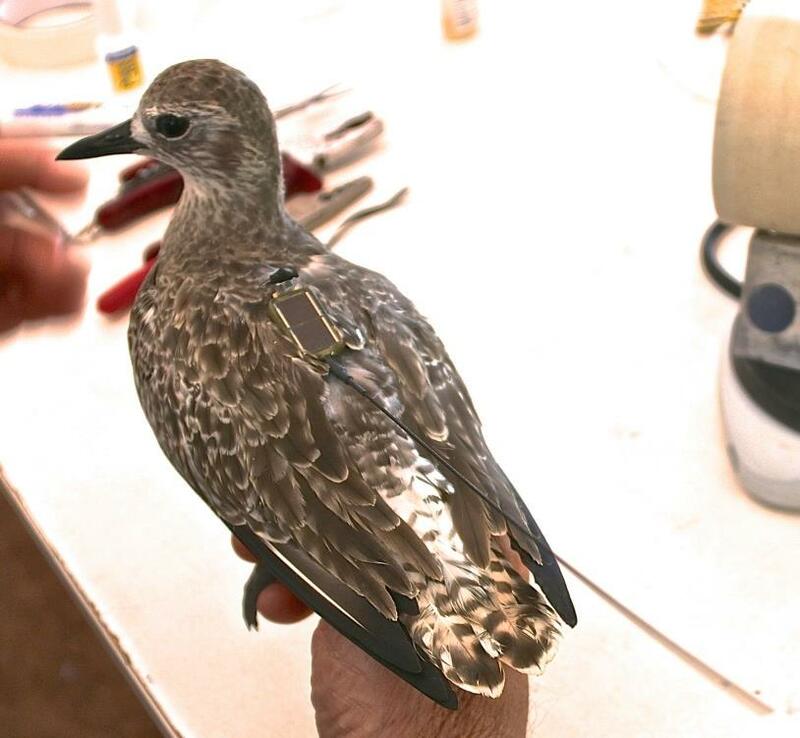 Grey Plover Project. Summary of Nad and Charlie's journeys and stop overs. Grey Plover Project. Now that our birds are busy breeding, it is a good time for us to look back at the magnificent journeys that they have made. Nad had used 51 days in total migrating from Broome to breeding ground in Sakha Republic, Russia. The total distance travelled is 10,942km. Charlie spent 2 days less than Nad from Broome to breeding ground also in Sakha Republic (49 days). The total distance travelled is also slightly shorter (10,642km). Both Nad and Charlie used 4 days to migrate from Broome to China non-stop. Nad covered 4,873km with average speed of 47kph, which is the longest non-stop flight recorded for Nad. Charlie covered 4,651km with average speed of 45kph, which is the maximum average speed recorded. They have both made 5 stops in China but with very different tactics. Nad spent 32 days in China in total, with over 90% of time (29 days) spent at the east coast of Bohai Bay in Hebei Province in the Yellow Sea area, the rest of the time was spent at 3 inland locations. Charlie only spent 24 days in China, with only 54% of the time spent in the Yellow Sea area, the rest was spent in the coastal area of Southern China. The “longest stay” stop-over site was on the north coast of Bohai Bay in Liaoning Province for 9 days. Both Nad and Charlie crossed the Chinese-Russian border in late May. Nad had made 2 more stops in Sakha Republic (one inland location, one coastal location) before reaching its breeding site, while Charlie had only made 1 stop at an inland location in Sakha Republic before reaching its breeding site.